Serve with Angkor Tamarind dipping sauce and Chrouk Metae. 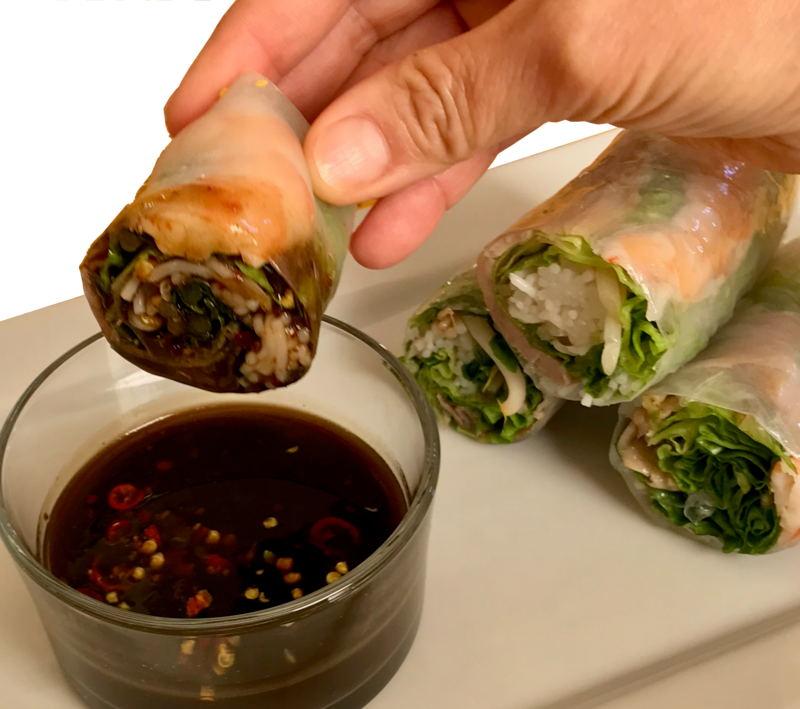 If not served right away, wrap each roll in saran wrap keep up to 2 hours. Heat oven to 475°F. Marinate salmon with oil and sea salt. BROIL salmon on middle rack for 10 minutes until the salmon is golden brown. Cook vermicelli in 10 cups of boiling water for 45 seconds, rise in ice cold water, squeeze the water from the vermicelli. Lay them flat on a plate, set aside. Submerge each sheet of rice paper in lukewarm water (105ºF) for 1 second; lift and let water drip off. Place the wet rice paper on a small baking sheet, let the rice paper hangover the rim of the sheet (closest to you) about 1”. 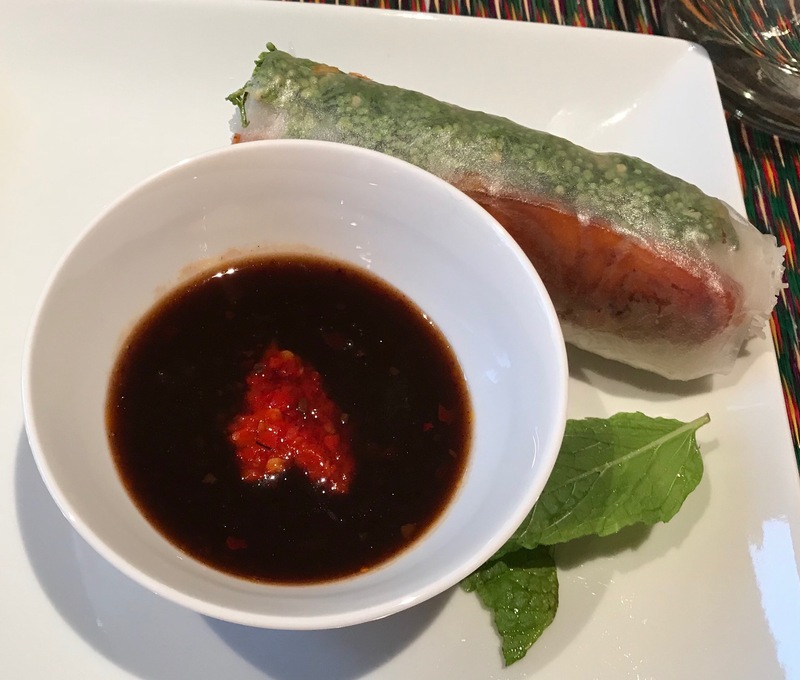 Place the following ingredients on the rice paper, in order: neem flower, two strips of salmon, vermicelli, lettuce, cucumber, sprouts, herbs and mints. Roll. Cut in half.